A German journalist and translator who is on trial in Turkey on terror-related charges said Monday that Turkish authorities had lifted her overseas travel ban. "The reports about the lifting of my exit ban are correct," Mesale Tolu wrote on Twitter. "I would like to thank my supporters and all those who sympathised with me and stood by my side to win my freedom." 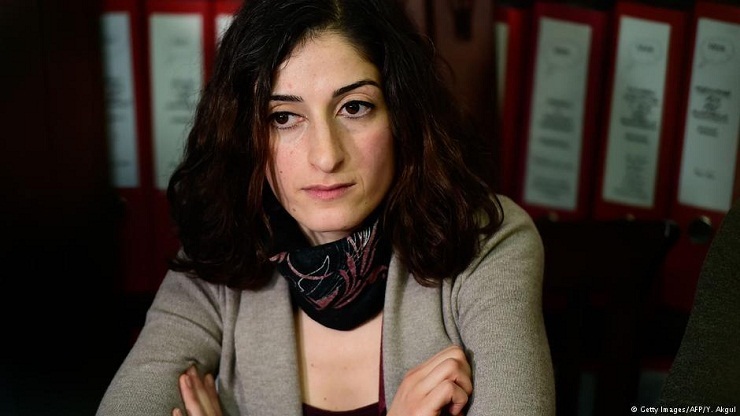 An Istanbul court in December had conditionally released Tolu, 34, who was held for over half a year on charges of membership of the Marxist-Leninist Communist Party (MLKP), which is banned in Turkey as a terror organisation. Under that ruling, she had to report to the authorities every week and could not leave the country. With the latest verdict, she will be allowed to leave the country. Tolu wrote on Twitter however that the next hearing in her trial is scheduled for October 16. If convicted, she faces up to 15 years in prison. In February, an Istanbul court ordered the conditional release of German-Turkish journalist Deniz Yucel after receiving an indictment from prosecutors seeking a prison sentence of up to 18 years. The latest court ruling on Tolu comes amid a thaw in Turkish-German relations after months of sharp tensions. Turkey has in recent days turned to Europe against a backdrop of escalating tensions with its NATO ally the United States over the holding by Ankara of an American pastor. An Istanbul court last Wednesday allowed the release of Amnesty International's Turkey chair Taner Kilic, who spent more than a year in jail over alleged links to a 2016 coup bid. Also, two Greek soldiers held by Turkey since March for illegally crossing the border were also freed in a move warmly welcomed by Athens.